Tuivanuavou was a four-time national champion with nine All-American performances during her four-year career at Fresno Pacific University. Among her numerous honors were back-to-back Capital One Academic All-American Women’s Track and Field first team honors, along with She was named the Capital One Academic All-American Women’s Track and Field Athlete of the Year in 2012 and repeated the Capital One Academic All-American first team honors in 2013, which she also earned the Field Athlete of the Meet distinction at the Pacific West Conference Championships. She was also voted the PacWest Women’s Track and Field Scholar-Athlete of the Year in 2013. She won NAIA national titles in 2012 in shot put (indoor) and triple jump (outdoor), and she earned National Christian College Athletic Association (NCCAA) national titles in long jump and triple jump in 2013. Tuivanuavou owns nine Fiji national records and ranks second in two more events, Tuivanuavou graduated from Fresno Pacific in 2013 with a bachelor’s degree in kinesiology and psychology. 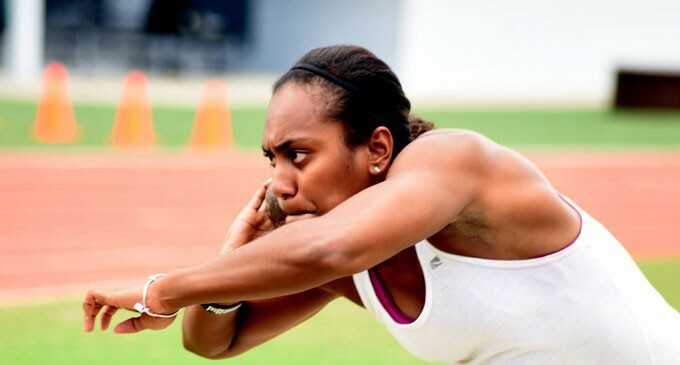 Over the past couple of years Milika turned her focus towards the shot put and triple jump becoming Fiji’s national record holder in both events.